Having very little time we drove straight to the Casco Historico and zipped around a tiny part of Antequera. 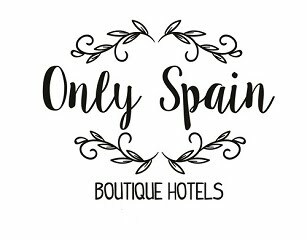 We were impressed and will be back, this time to stay in the heart of the town, not out in the sticks like the Hotel La Fuente del Sol which we were checking out. At around 16 long, winding, impressive kilometres from Antequera, the area reminded me of Exmoor, a touch of Scotland and had definite wailings of Heathcliff during the windy night. You may have gathered it was rather chilly and cloudy on our visit, we headed up to the surreal El Torcal to find ourselves enveloped in cloud. The mirador or viewpoint offered no view that day, but the whole effect was incredibly spooky and I was rather thankful there was no howling from the nearby Wolf Park. Heading down to normality and towards Antequera a restaurant/museum, Molino Blanco, beckoned us in for coffee..
Antequera old town... saving the Alcazar visit for the next trip. Antequera is only 50km from Malaga and the so-called Costa del Sol, and world´s away in many respects. A great and varied 24-hour escape.